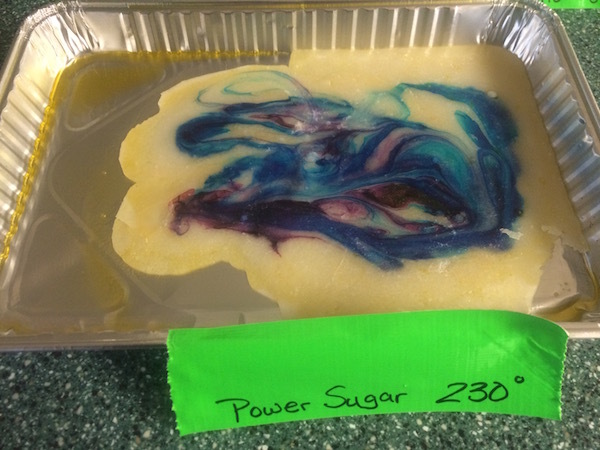 Sugar stained glass is a science activity that you can turn into a science experiment with a snap of your fingers. We made our sugar stained glass by using the rest of your sugar solution left over from the rock candy making. To make sugar stained glass combine one cup water and 2 cups sugar. You may also add half teaspoon Cream of Tartar and one cup clear corn syrup, I actually forgot to add the last two ingredients, and ours turned out great. Science activities are where you learn about science but don’t use the scientific method. In my opinion, this is just as much fun for your kids and frequently a greater learning experience. I Always ask a bunch of questions to dig deeper and find videos that relate to our subject. To make the science activites just boil each solution at a different temperature. The first batch we used white sugar, which was heated up to 255 degrees, powdered sugar 230 degrees, and then brown sugar 212 degrees. The girls observed each solution as I heated them up one by one. 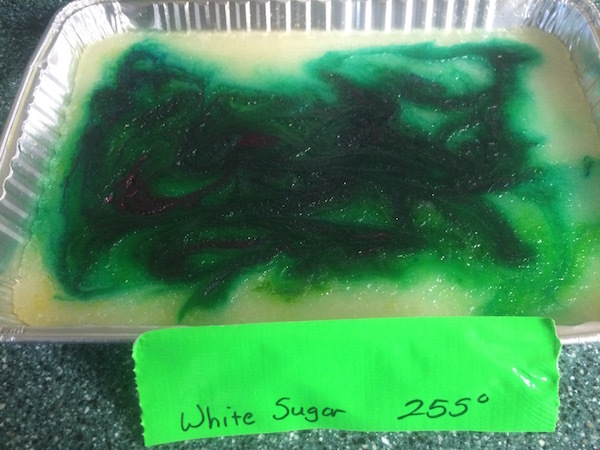 As expected, the white sugar and powder sugar solution heated up just fine. 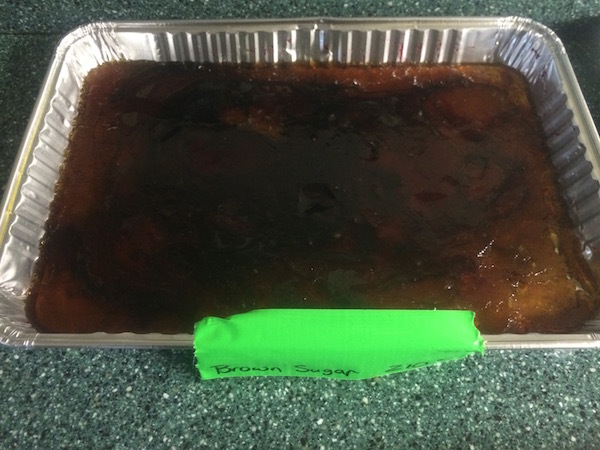 Consequently, the girls noticed the brown sugar solution would not rise above to 212 degrees and concluded that heavy amounts of molasses were added to the sugar. 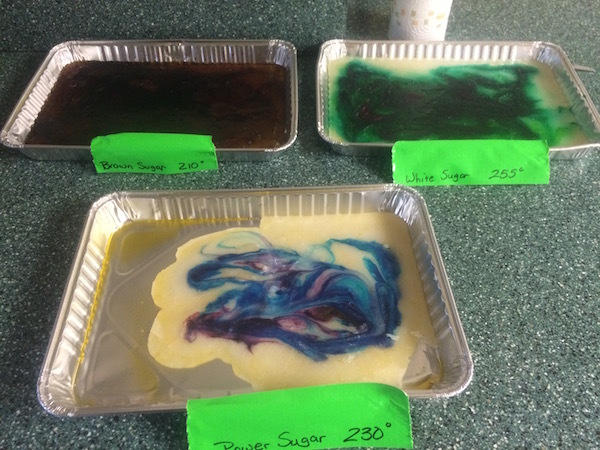 This entry was posted in Cooking recipes, science, Unschooling and tagged candy science, education, experiment, movie prop, steam, STEM by Chrissie. Bookmark the permalink.